Discussing The Benefits of Going Independent with Brotha "Z"
(Bloomberg Opinion) In February, to general condemnation (including my own), the U.S. Supreme Court allowed the execution of a Muslim inmate in Alabama who had been denied the presence of an imam in the death chamber, even though a Christian inmate could have had clergy present. After the outcry, in late March the justices switched their position, agreeing to stay the execution of a Buddhist inmate in Texas who has been denied the presence of a Buddhist priest in the death chamber, even though a Christian inmate could have clergy present. Then, this week, after scratching its head for about 12 seconds, Texas hit upon perhaps the worst possible solution: Let’s not allow anybody to have clergy present in the death chamber. Then nobody’s being discriminated against. 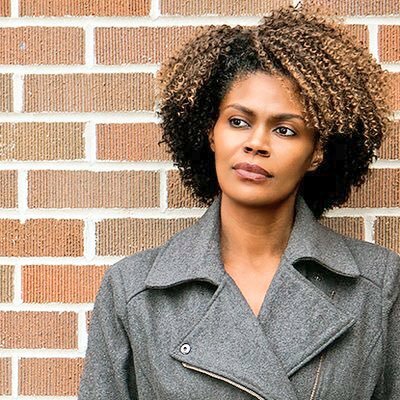 Ivo Jackson ― What is the difference between black/white conservatives? The short answer is black conservatism refuses to ignore the context of injustice in socioeconomic inequity and rejects any tradition that enables racism or bigotry. 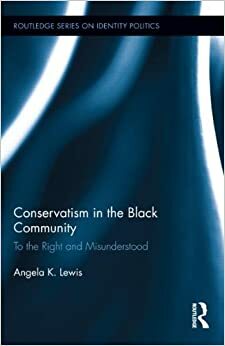 Whether through sociological study or casual observation, if you actually SEE black conservatives and the way we practice political conservatism, the findings are the same: ‘Colorblind politics’ are the tool of white supremacists and those who whore for their votes. Black conservatives who refuse to bend the knee to the bigotry and elitism being passed off as mainstream American conservatism must always refuse to be silenced or misrepresented. 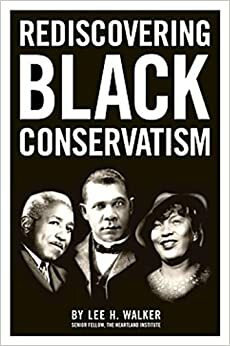 Black conservatives who aren’t willing to be controlled or forced into a false narrative just to belong to the group assert that our conservatism is not the same. The group rejects us, so we reject the group. It is a matter of dignity and self-respect. 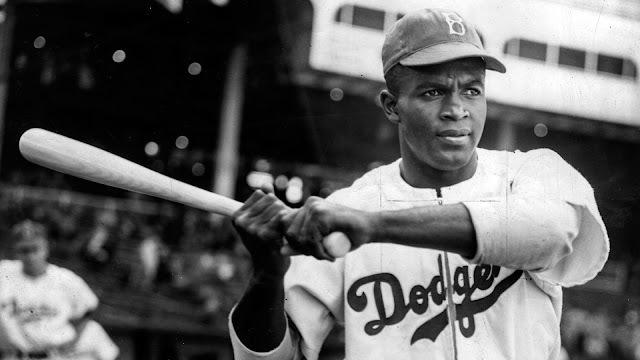 Jackie Robinson is remembered for breaking the color barrier in Major League Baseball, but he played a less heralded role in Republican politics and black community activism. Robinson was a vital voice of reason in the early ‘60’s as the black liberation movement in the urban north grew more radicalized. He struggled to preserve an older, conservative vision of social progress against a wave of left-wing extremism. “I believed blacks ought to become producers, manufacturers, developers and creators of businesses, providers of jobs. For too long we had been spending too much money on liquor while we owned too few liquor stores and were not even manufacturing it. For almost thirty years I was active in Republican politics. Most recently I spent ten years as a Republican precinct committeeman in suburban Chicago. I am a Texan in exile. While a college intern at the Texas Legislature I met a young Rick Perry, fresh off his switch from the Democratic Party. As a donor and volunteer for a Republican PAC in Houston I volunteered for Republican state and local campaigns. From 2009-2016 I wrote the GOPLifer blog. My book, The Politics of Crazy, is a distillation of ideas from the blog. After the 2016 Republican National Convention, I resigned my position as a precinct committeeman and left the Republican Party. 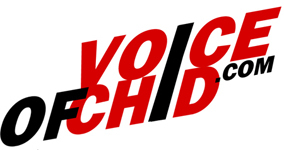 I now maintain a new blog, PoliticalOrphans.com. 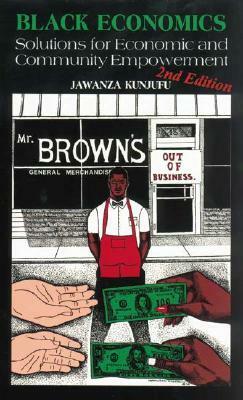 “If you found a black man making shoes or candy or ice cream, he was a rarity. We talked about not having capital, but we needed to learn to take a chance, to be daring, to pool capital, to organize our buying power so that the millions we spent did not leave our communities to be stacked up in some downtown bank. This was a sharp contrast with the dominant values that were emerging in the black community in the wake of the Civil Rights Movement. For the growing black left in the ‘60’s oppression was defined, not resolved, by capitalism. In the early ’60′s men like Robinson found themselves trapped. The Republican Party, which had long been the outlet for their values, was looking to Dixie for votes. Though they saw little to like in the priorities of the Democratic Party, the climate for African-Americans in the GOP was becoming increasingly difficult. The 1964 Republican Convention was the first to give white Southerners a significant role. Not surprisingly, it also featured lowest black representation ever at a GOP national convention. Not coincidentally, the second lowest was 2012. 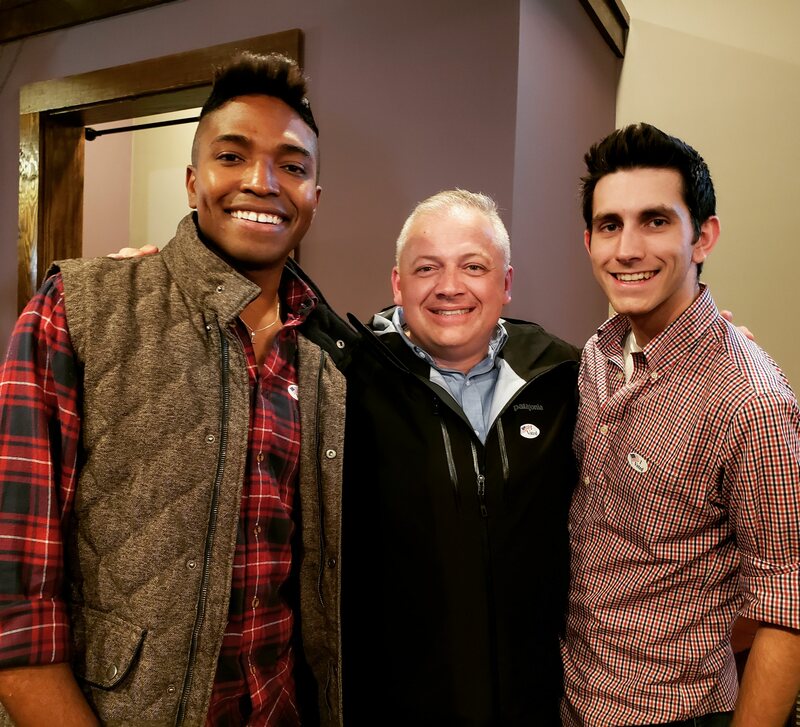 “I felt the GOP was a minority party in term of numbers of registered voters and could not win unless they updated their social philosophy and sponsored candidates and principles to attract the young, the black, and the independent voter. “That convention was one of the most unforgettable and frightening experiences of my life… A new breed of Republicans had taken over the GOP…It was a terrible hour for the relatively few black delegates who were present. What Robinson describes is eerily familiar. He complains that blacks were reduced to token status, rolled out to recite party lines but ignored or exiled if they tried to influence policy. Their concerns were marginalized, their participation merely tolerated, their voices drowned. Robinson continued to work as an adviser to Republican Gov. Rockefeller well into the ‘70’s, but he backed Lyndon Johnson and every subsequent Democratic Presidential nominee. The priorities he expressed for the black community remain to this day largely ignored on both the left and right, with the exception of a brief flowering led by the late Jack Kemp. The values that drew Jackie Robinson to the GOP are more popular and relevant than ever. Unfortunately, the forces that drove him away are more influential in the GOP now than they have ever been. We can’t seize the opportunity of our potential appeal without releasing our grip on a dead vision of white cultural supremacy. Can we ever tolerate women, Hispanics, and African-Americans who are more than token voices parroting an approved line? If Republicans can find the confidence and courage to embrace authentic cultural diversity a new era of political dominance waits for us. -- Chris Ladd, former GOP Precinct Committeeman, author of The Politics of Crazy and creator of PoliticalOrphans. 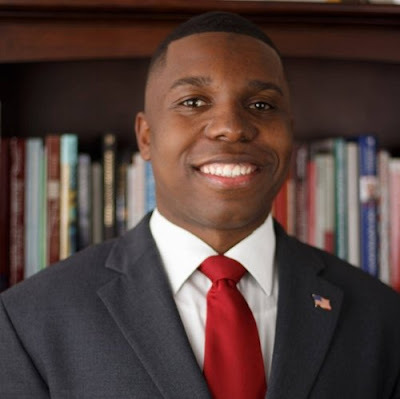 Akil Alleyne -- Dear Candace Owens: Stop Trying to Make "#Blexit" Happen—It's Not Gonna Happen!!! "What the liberal criticism of identity politics seems to ignore, or at least downplay, is how significant a role identity plays in shaping our knowledge of problems and how necessary a level of identity-based empowerment is to create social advancement in the first place. Let’s take an analogy from physics. In The Order of Time, Carlos Rovelli argues that our understanding of time is based exclusively on how we choose to organize information. He illustrates this using a deck of cards. If we shuffle the cards and then lay them out, how do we decide which is the first card? Is it the first card in the deck? The smallest number? The first red card? Or maybe the first spade? Rovelli’s point is that order (and therefore time) is relative: deciding what comes first requires one to first set a parameter by which to judge—in this instance numbers, colors or whether a card is on the top or bottom of the pack. It is only this relational aspect between things that allows us to arrive at a sense (albeit illusory) of order. So too with identity. It is precisely by setting ourselves apart from one another, based on certain categories, that we are able to recognize where we stand in relation to things like equal access to certain rights. When the slave-holding authors of the US Constitution sorted human beings according to their rights, they did not believe that the parameters set by the words “all men are created equal” applied to their property. The relative nature of human interactions makes a focus on identity not just an important, but a required first step towards advancing universal liberalism." (Foreign Affairs) -- Recent political upheavals have reinvigorated a long-running debate about the role of identity in American politics—and especially American elections. Electoral politics have long been a lagging indicator of social change. For hundreds of years, the electorate was limited by laws that explicitly deprived women, African Americans, and other groups of the right to vote. (Efforts to deny voting rights and suppress voter turnout  continue today, in less overt forms but with the same ill intent.) When marginalized groups finally gained access to the ballot, it took time for them to organize around opposition to the specific forms of discrimination and mistreatment that continued to plague them—and longer still for political parties and candidates to respond to such activism. In recent decades, however, rapid demographic and technological changes have accelerated this process, bolstering demands for inclusion and raising expectations in communities that had long been conditioned to accept a slow pace of change. In the past decade, the U.S. electorate has become younger and more ethnically diverse. Meanwhile, social media has changed the political landscape. Facebook captures examples of inequality and makes them available for endless replay. Twitter links the voiceless to newsmakers. Instagram immortalizes the faces and consequences of discrimination. Isolated cruelties are yoked into a powerful narrative of marginalization that spurs a common cause. 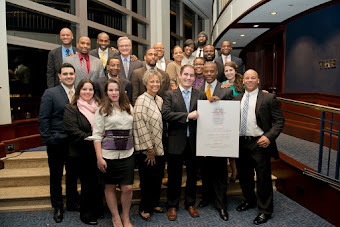 Black Conservatism is NOT White Conservatism. It’s similar, but very different. The Atlantic slave trade “the LARGEST” long-distance coerced migration in human history is the paradigm, the backdrop for what would become the dissimilar philosophical differences between what is referred to as mainstream-conservatism and that of African or black-conservatism. ((Black-Conservative360)) - The Atlantic slave trade “the LARGEST long-distance coerced migration in humanhistory" is the backdrop for what would become the dissimilar philosophical differences between what is referred to today as mainstream-conservatism and that of African or black-conservatism. 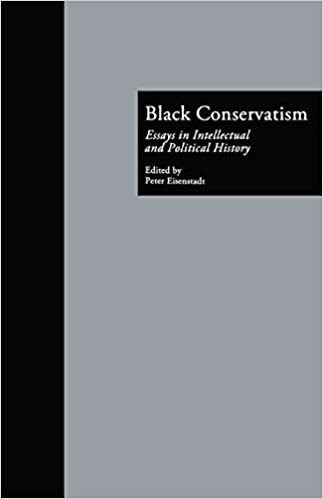 Just as Burkean conservatism is a response to the explosive chaos following the French Revolution, so, too, black conservatism emerges out of and in response to the far-reaching impact of scientific racism, and the almost unimaginable barbarity of colonialism and slavery. #White supremacy was an essential component of the slave trade, of Jim Crow, and, more than anything, it is black conservatism's long and tempestuous relationship with white-supremacy and bigotry that distinguishes it from other strains of color-blind or mainstream conservatism. 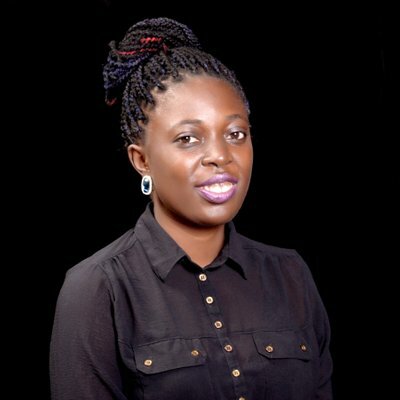 As the African conservative writer Chidike Okeem emphasized in an interview with the Intercollegiate Studies Institute, "When demonstrably immoral structures exist, the black conservative cannot ethically justify attempting to look for the positive aspects of such structures." One glaring difference between “mainstream” conservatism and black-conservatism is how it’s dissimilar history with racism informs how black-conservatism engages the nuances of state power and its relationship with the larger culture. As Forbes writer, and Republican historian Chris Ladd explains, “The black experience is a living reminder that government is not alone as a potential threat to personal liberty. It is possible, as in the Jim Crow South, to build a government so weak that no one’s personal liberties can be protected. In short, black-conservatism is more than just a disposition. 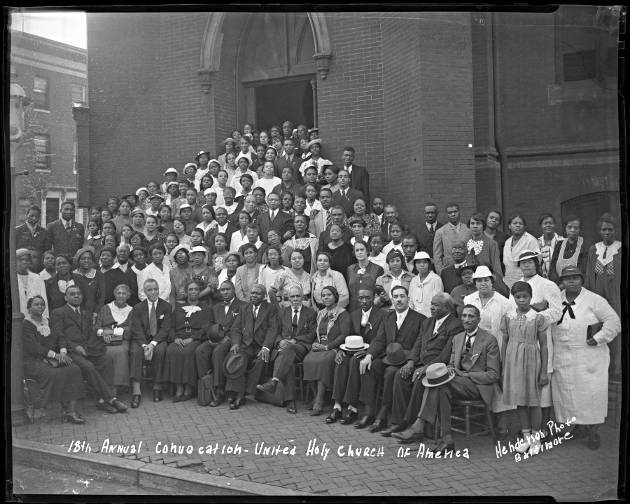 It’s also the network of black- institutions (like the black church) that help to capture this dissimilar history; that tell the story of how black-institutions became a powerful, strategic weapon against racism, and while unmistakably black, it is grounded in principles so profound and applicable that any society facing racism or injustice could draw universal parallels from it. 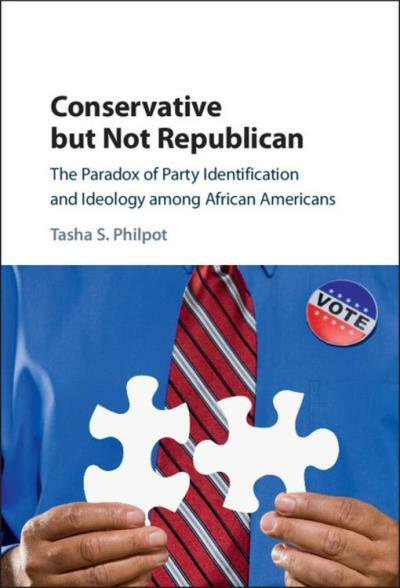 Conservative but Not Republican provides a clear and comprehensive framework for understanding the formation and structure of ideological self-identification and its relationship to party identification in the United States. 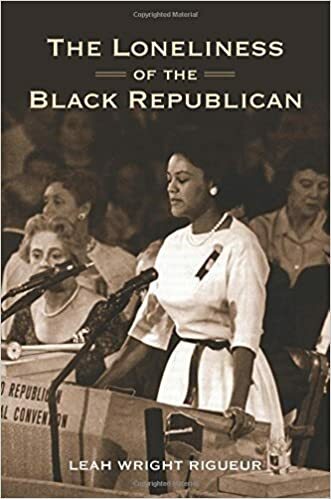 Exploring why the increase in Black conservatives has not met with a corresponding rise in the number of Black Republicans, the book bridges the literature from a number of different research areas to paint a detailed portrait of African-American ideological self-identification. 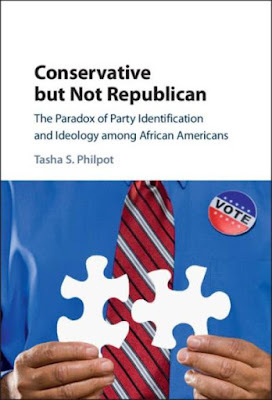 It also provides insight into a contemporary electoral puzzle facing party strategists, while addressing gaps in the current literature on public opinion and voting behavior. Further, it offers original research from previously untapped data. The book is primarily designed for political science, but is also relevant to African-American studies, communication studies, and psychology. Including easy-to-read tables and figures, it is accessible not only to academic audiences but also to journalists and practitioners. Left of Black host Dr. Mark Anthony Neal sits down with Dr. Tasha Philpot to discuss her recent publication, "Conservative But Not Republican: The Paradox of Party Identification and Ideology Among African Americans"
Dr. Philpot is an Associate Professor of Government at the University of Texas at Austin. 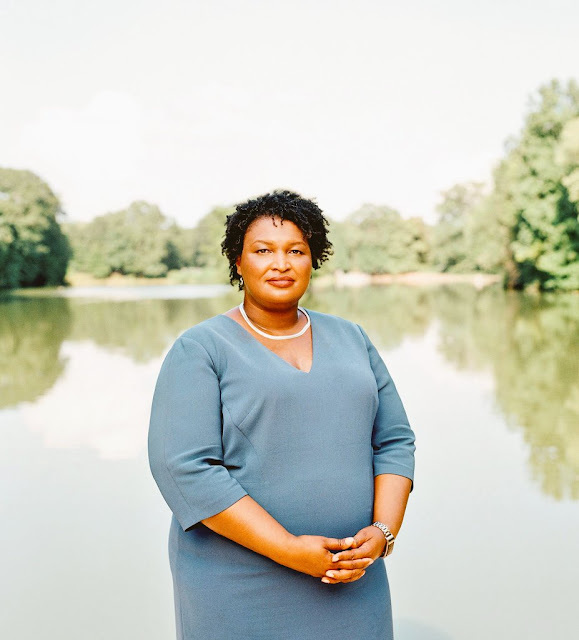 Her particular interests are in African-American Politics, Political Psychology, Public Opinion and Political Behavior, Political Communication, and Political Parties. How the right created the illusion of colorblindness. 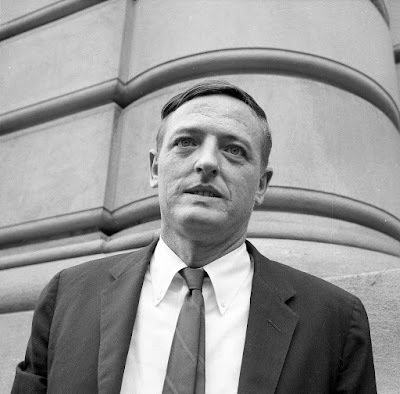 National Review’s editorial line on racial issues shifted in the 1960s toward a “colorblind” constitutional strategy. In part, this change reflected the moral case made by civil rights activists that laid bare the brutal realities of Jim Crow. (The Washington Post) -- During its formative years, the editors of National Review were committed to a white, capitalist and anti-progressive worldview that set the terms for conservatism for the next 60 years. They were sincere when they denied charges of bigotry. They could not see that assuming white cultural superiority, questioning black intelligence and fearing the civil rights movement derived from racist assumptions. 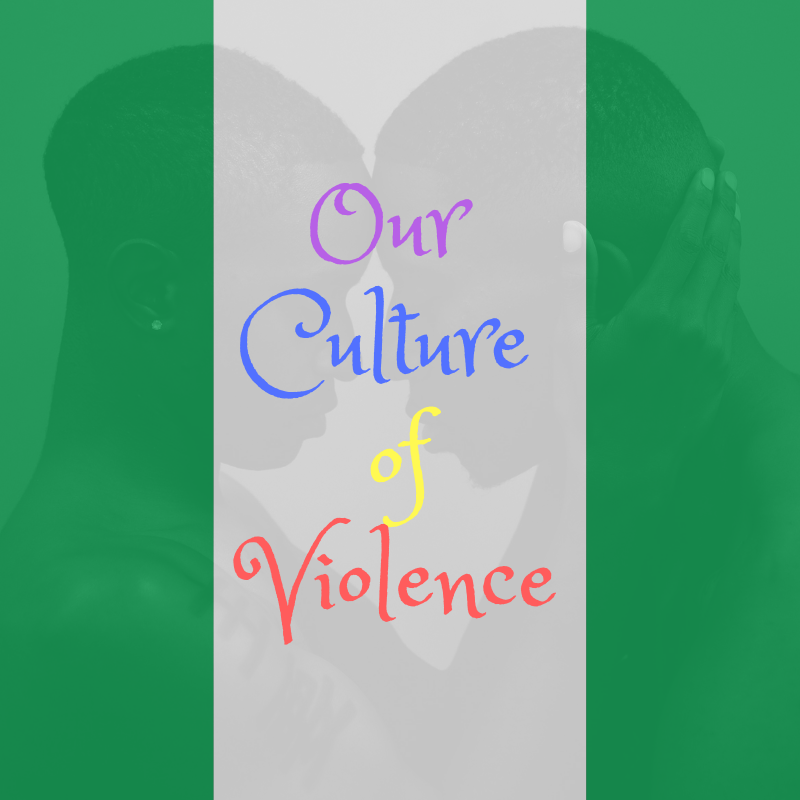 (Ayo Sogunro) -- Sometime in May 2015, in Abuloma, Port Harcourt, a man named Charles was harassed, beaten, and robbed by his neighbourhood security watch. What was his crime? He was perceived to be homosexual. When he reported this incident to the police, he was advised to leave the area if he wanted to avoid future ‘embarrassment’. 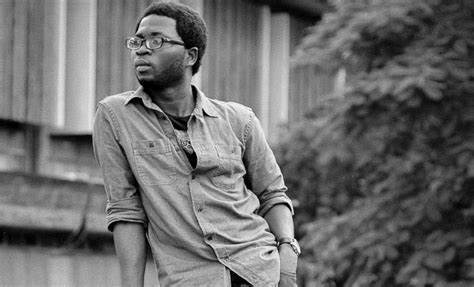 In June of that same year, another man, Tare, was abducted by four men in Woji, also in Port Harcourt. The men claimed to be members of the neighbourhood security and they suspected Tare was a gay man. They beat him before releasing him in exchange for the names of other gay men in the neighbourhood. Tare provided them with fake names even though the men had threatened to murder him if he lied. To avoid this threat, Tare had to relocate from the area. A similar incident occurred in June 2015, this time in Apapa, Lagos. A young man named Caleb was stopped by a group of men on his way back from work. The men wanted to know if Caleb was a man or a woman because, they claimed, he was walking and behaving ‘like a girl’ – whatever this may mean. The men beat Caleb, robbed him, and warned him against ‘walking or acting like a girl’ or risk being attacked again by them. Caleb’s friends and family advised him to move from the area. Africans must make the extra effort to keep their environment eco-friendly and governments must not wait until disasters happen before showing desperation. (Africa Liberty) -- When Cyclone Idai hit Southern Africa a few weeks ago, the aftermath was devastating. It is among the most fatal cyclone to ever struck the Southern Hemisphere. The death toll is now above 700 and over 3 million people are affected in Mozambique, Malawi, and Zimbabwe. There are even fears that humanitarian situations might worsen with predictions of a possible Cholera outbreak in Mozambique. Following the disaster, though, humanitarian agencies that deployed to the affected countries were disappointed by the appalling levels of preparedness by government agencies and their poor post-disaster plans. But even as African governments are known to be often ill-equipped to efficiently respond to situations like this, bad public attitude towards the environment have made matters worse. 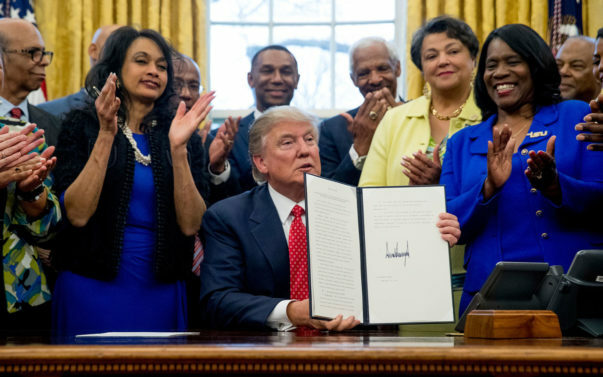 Simply put, the political movement necessary to make reparative payments to American blacks—either to slave descendants and/or those who suffered under Jim Crow—would be better spent on other reforms with greater impact and lessen the damage caused by unintended consequences of any reparative effort. Reparations could, in fact, make matters worse. 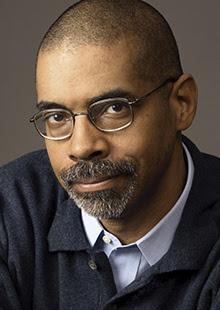 (RARE) -- Any honest assessment of American history leads to the conclusion that much of the wealth the United States has enjoyed was built upon the stolen labor and property of blacks through slavery and subsequent practices of fraud, violence, and theft in the decades hence. The acquisition of property and wealth through unjust means is not made just over the passage of time due to the difficulty in meting out recompense to the victims and their would-be heirs. Moreover, the years of political terrorism and the ever-present threat of violence for even the slightest violation of hierarchical race-based social norms inflicted immeasurable harm on individuals and their families that undoubtedly had profound psychological and economic effects. Credible accusations of abuse against an artist don’t make his art less great. But they do make it less enjoyable. (Bloomberg Opinion) -- "This is cancel culture at its best: an appeal at once to the individual’s conscience and aesthetic sensibility. The effort is not to force anyone’s judgment on anyone else; rather, the effort is to discipline the self to set aside an affinity for that which is now tainted. Viewed this way, cancel culture falls within a long tradition of stoical movements that disdained part or all of the larger world. The very inwardness of cancel culture creates its moral appeal. The movement becomes more insidious, however, when it marches beyond the borders of nonparticipation and into the realm of prohibition. This has arguably happened in young adult fiction, where social media campaigns can lead to the postponement or even cancellation of a title. That’s a bad result, in part because books themselves, in their infinitely provocative diversity, are a good; but also because the movement is then engaged in trying to make unavailable to everybody else whatever its own members would prefer not to read. History teaches that “No one should have access to the things I hate” is a dangerous claim." Slave Trade Debates of England in the early 19th century. (New-York Historical Society) -- American plantations were dwarfed by those in the West Indies. 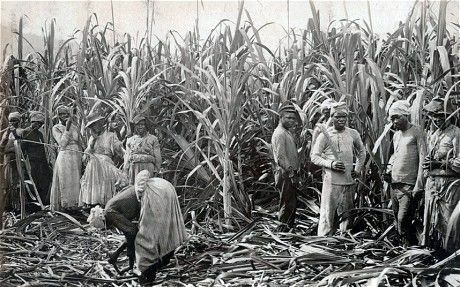 In the Caribbean, slaves were held on much larger units, with many plantations holding 150 slaves or more. In the American South, in contrast, only one slaveholder held as many as a thousand slaves, and just 125 had over 250 slaves. In the Caribbean, Dutch Guiana, and Brazil, the slave death rate was so high and the birth rate so low that they could not sustain their population without importations from Africa. Rates of natural decrease ran as high as 5 percent a year. While the death rate of US slaves was about the same as that of Jamaican slaves, the fertility rate was more than 80 percent higher in the United States. US slaves were more generations removed from Africa than those in the Caribbean. In the nineteenth century, the majority of slaves in the British Caribbean and Brazil were born in Africa. In contrast, by 1850, most US slaves were third-, fourth-, or fifth generation Americans. Slavery in the US was distinctive in the near balance of the sexes and the ability of the slave population to increase its numbers by natural reproduction. Unlike any other slave society, the US had a high and sustained natural increase in the slave population for a more than a century and a half.